Fandible.Com is a 2018 ENnie Nominated Actual Play Role Playing Podcast, featuring weekly episodes of both one-shot and ongoing tabletop roleplaying games, as well as regular blog posts and additional podcasts about a variety of topics of interest to geeks of all stripes. Actual Play Podcasts: from old standards to cutting edge indie designs, our weekly actual play episodes have something for everyone. Fandible Longshot: A Numenera campaign posted weekly on Tuesdays! Season Four coming soon! Fandible Soloshot: A dark side Force and Destiny campaign posted weekly on Thursdays. Season Three has JUST started. Geeky Topics Round Table: a panel show dedicated to all-things geek culture, with a special emphasis on role playing games, and whatever else is on our minds that week. Fandiblog: weekly blog posts from the members of Fandible, including fiction expanding upon recent podcast stories, advice for players and GMs, and reviews of the latest games, TV shows, and movies to hit the geek-o-sphere. In the summer of 2010, Jesus, Daniel, Billy and Angela all attended a random RPG Meetup group in New York City. While the larger group wasn’t a fit for them, the four of us had fun gaming together and felt they might make a good fit for a smaller gaming group. Jesus wanted to start a podcast as well, and after a night out at a bar, the group agreed to give it a try. None of us had any podcast experience before then, but that didn’t stop us (obviously). Our first game was Warhammer 40K, and while the recording sure feels a bit rough years later, the core of what makes Fandible, well, Fandible still shines through: an emphasis on story over rules, terrible puns, lots of laughter, and did we mention story over rules? A few fifth members of Fandible came and went in the first four months, but in January 2011, David joined the group, and seamlessly fit in. It didn’t take long for the group’s roster to be settled. In November of 2011, we began experimenting with the Geeky Topics Round Table podcast, an off-shoot podcast inspired by the long conversations we’d have before and after our Saturday gaming sessions about anything and everything geeky – movies, TV shows, books, other games we were playing – the sky is really the limit for GTRT topics. So long as it is something you can be passionate about, we consider it geeky. The summer of 2012, two years after the original members of Fandible met, a new addition was made to the site, with the Fandiblog (usually) featuring weekly blog posts giving insight into the strange inner-workings of the individual members of Fandible. Each post generally attempts to blend Fandible’s trademark humor with our reviews and insights on the latest in tabletop gaming and geeky pop culture. A big part of gaming culture is going to conventions, and Fandible made its first group appearance at a con in 2013 at Metatopia, where Angela was play-testing her first game, and the whole group participated in panels about podcasts and gaming. Since then, the group has traveled in whole or in part to conventions ranging from Origins to Maelstrom, and we hope to keep adding to our list! Let us know if there’s a convention you want to see us at – we hope to see you there! In 2015, Fandible joined Patreon, and we are truly lucky to have awesome fans who value creators in a digital age. We use funds from Patreon to pay for website hosting, technology upgrades, and, of course, new games! In 2016, Fandible branched out from it’s original Friday only schedule to bring the Fandible Longshot. This is a Numenera campaign that is released every Tuesday and focused solely on one campaign. It is a huge hit with our fans, and thus, it has continued on for three seasons! Season Four will start up in January 2019. 2017 was a big year for Fandible. In light of the Longshots’ success, Angela and Billy created a separate podcast released every Thursday called the SoloShot. This is a two-person Star Wars Force and Destiny campaign. The SoloShot has spanned over fifty episodes, and the SoloShot has just started their third season in November 2018. 2018 was Fandible’s greatest year yet! We were nominated for an ENnie for Best Podcast! The ENnies are held at GenCon every year, and Fandible was proud to be one of the first Actual Play Podcasts ever nominated in the category! While we didn’t bring back a gold or silver, being nominated was an incredible honor. We have big plans for 2019, and beyond! We hope you’ll stay tuned. Angela: Feminist. Reader. Marketer. Podcaster. All-around geek. 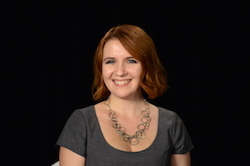 Born and raised in Michigan, Angela dreamed of moving to New York City for most of her life. She now lives the dream in the big city, working in publishing as a digital marketer, and married to fellow-Fandible-member Billy. 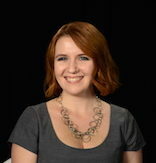 She co-runs the Fandible social media feeds and edits the weekly blog posts. May or may not be considered the “resident adult.” Games she runs include Hollow Earth Expedition and The End of the World. 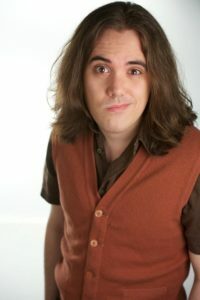 Billy: The other midwest transplant, Billy is a writer, performer, and digital editor, and married to fellow-Fandible-member Angela. 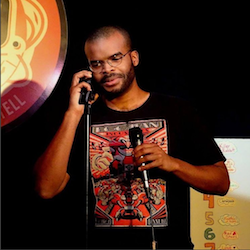 He contributes a number of original character voices to Fandible podcasts, and designed Fandible’s first digital game, Horatio’s Story, based on characters from the on-going Unhallowed Metropolis podcast. Billy also stars in the Fandible SoloShot and is also the podcast’s chief editor. Games Billy runs include the popular Billy-verse anthology series of horror games using the New World of Darkness/Chronicles of Darkness rules. Daniel: Born in the freezing heart of upstate New York, raised in the searing heat of the Caribbean, then mellowed for several years in a fine oak barrel until he reached a perfect balance of snark and zen. Graduating at the top of his class in high school, and accepted to an Ivy League university, he instead chose to run away with the circus, where he learned valuable life lessons and grew to hate clowns. He then traveled the globe for years in search of the six-fingered man, only to find the power was inside him all along. 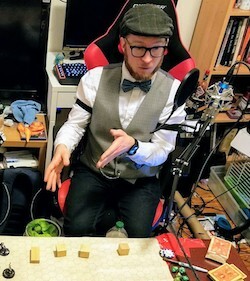 Daniel is the resident tech-expert and is often referenced as having ‘all the screens.’ Games Daniel runs include The God Machine Chronicles and Demon: The Descent. David: David grew up in Maine, but realized very quickly that it was a better place to be from than a place to be. Moving to New York City, he quickly fell into the wrong crowd and wound up with the Fandible Podcast. He is also a founding member of Black Bag Pictures and was a writer for the short film Miskatonic University and is currently working with Black Bag on new projects. David moderates the Geeky Topics Round Table podcast. Games David runs include Shadowrun and the Saints of Suffering. Jesus: Jesus s a programmer and writer who has a passion not only for game design but also storytelling. When he isn’t working at his day job as a software support specialist or working on the website, he designs games as a hobby and has participated in various game design competitions as a way to improve his skills. The ultimate goal hopefully being the chance to work on unique and interesting gaming projects in the future. Jesus is the founder of Fandible, audio editor, and website admin. 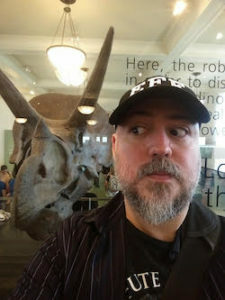 He is also the primary storyteller for the group, with some of his most popular games including Unhallowed Metropolis, Warhammer 40K, and Atomic Robo. Fandible.Com is a participant in the Amazon Services LLC Associates Program, an affiliate advertising program designed to provide a means for sites to earn advertising fees by advertising and linking to Amazon.Com. Additionally, we participate in the DriveThruRPG affiliate program, allowing us to earn a small percentage of the purchase price of game purchases through their site.